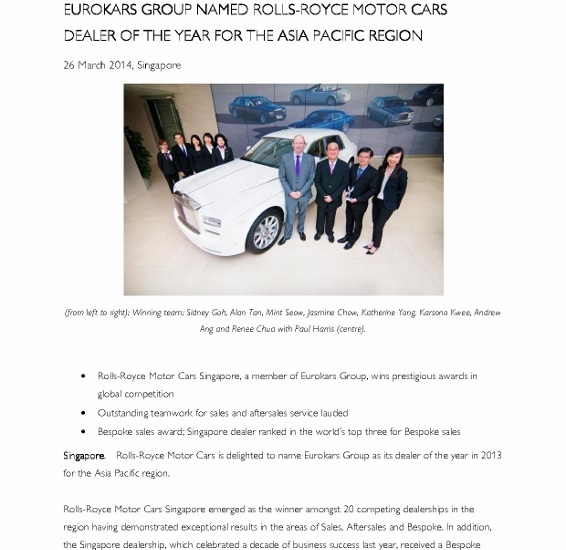 Rolls-Royce Motor Cars dealer in Singapore has been named Asia Pacific Dealer of the year for 2013. 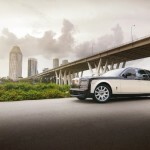 Not only did Mr Karsono Kwee and team score the best of our 20 dealers across 25 cities in Asia Pacific, Singapore is now ranked third in the world for Bespoke sales. 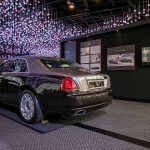 Rolls-Royce Motor Cars Singapore emerged as the winner amongst 20 competing dealerships in the region having demonstrated exceptional results in the areas of Sales, Aftersales and Bespoke. 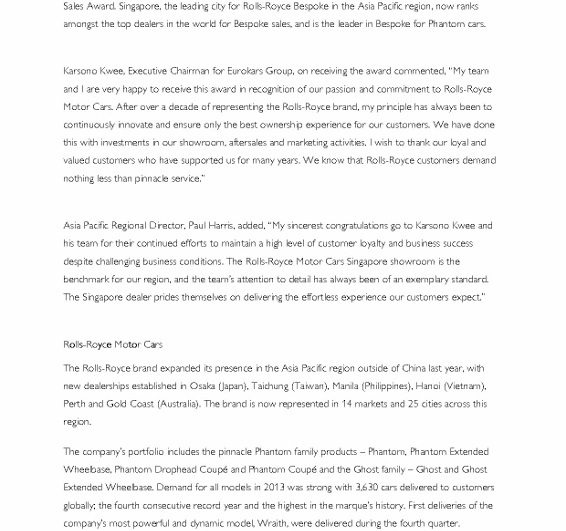 In addition, the Singapore dealership, which celebrated a decade of business success last year, received a Bespoke Sales Award. 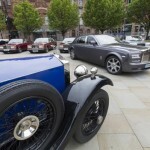 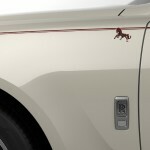 Singapore, the leading city for Rolls-Royce Bespoke in the Asia Pacific region, now ranks amongst the top dealers in the world for Bespoke sales, and is the leader in Bespoke for Phantom cars.